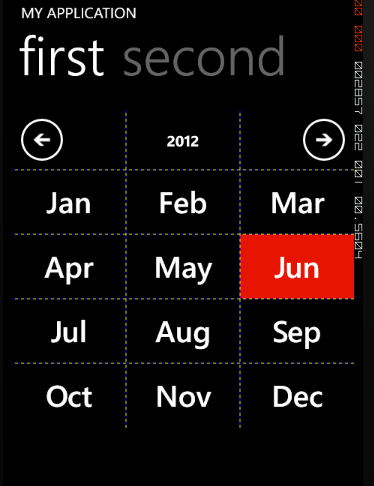 For some reason, I need a calendar control in a WP7 app, a special one, or a simple one. However, within the most exciting Metro world, it doesn't easy to get high sometimes - officially you don't have calendar control, you need to google it and, you don't have too many opotions after google. This is one of the biggest problem of WP7 development in my opinion. There is too few controls for developers to use. the new version is now based on the Mango WP7, that's why you will have those cool features like pin to start and live tile. Although the Nokia officially annanced that the pre-order starts from Dec 2, I have just verified by myself that Nokia Lumia 800 pre-order could be made right now at Nokia's local store at HK. You need to pay HK$300 deposit for each phone you order. The deposit is un-refundable if you decide to cancel the order while it will count into the total amount when you pick up the phone and pay the rest. According to the staff, the free earphone offer is available per phone if you place the order now. However, it won't be shipped with the phone at Dec 12, it will be provided later instead. In case you are wondering, I ordered 3 lumia 800 myself at the Nokia store which next to Time Square at Causeway Bay. You can actually try if the app works for your camera without paying in advance. As always, in case it doesn't work or has any question, click the "Contact" link above to leave me a message.